1. Entries close at 5:00 P.M., Saturday, September 15, 2018. 2. Exhibits (art and/or craft) will be accepted for display on Thursday, September 20 between 4:00 P.M. and 8:00 P.M. for drop off. Do not drop off at main office. 3. All exhibits must be labeled on back with name, address, phone, and classification. 4. 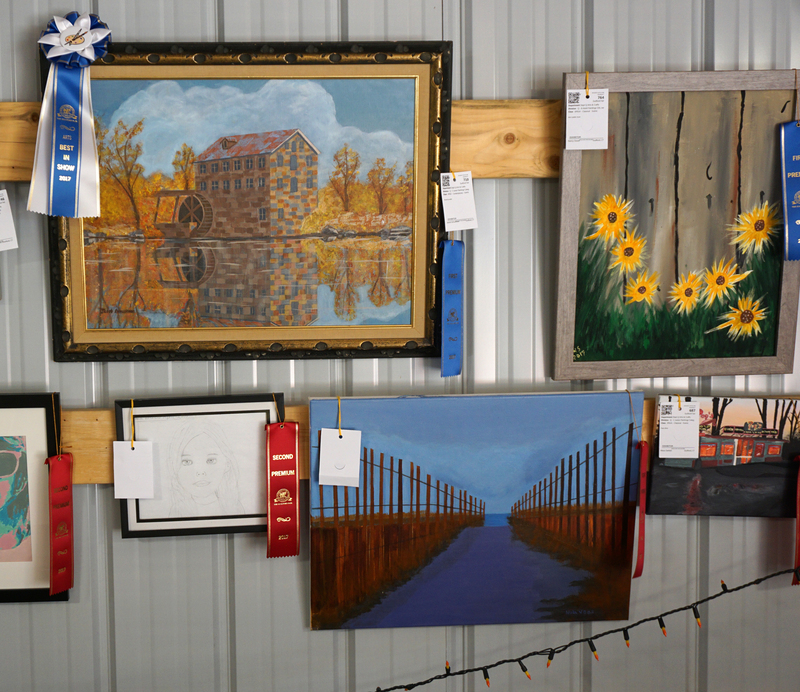 Guilford Fair tags must be securely fastened to art and/or craft at time of entry. 5. Art exhibits must follow hanging directions indicated below or will not be accepted. 6. All exhibits are to remain in place until closing, Sunday, September 23, 2018. 7. The tent will close at 6:00 P.M. and exhibits will be available after 7:00 P.M.
EXHIBITORS MUST PRESENT RECEIPT AT TIME OF PICKUP.